I never was a fan of corn, until I met grilled corn. Top it off with a savory, spicy sauce that makes you want to kiss the cook, and you have a meal for the books! Pull back the outer husks but leave attached at the base of the corn cob. Remove the inner husks and silks and then replace the outer husks. Soak corn in cool water for at least 10 minutes. 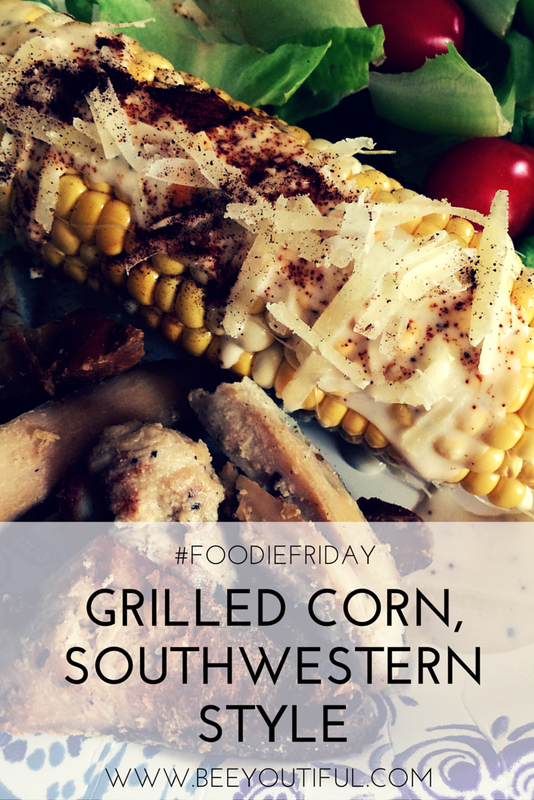 Prepare grill to medium low heat and then place corn (with outer husk pulled up) on the grill. Grill corn for 20 minutes, rotating every few minutes and being careful not to burn. When corn is ready, remove outer husks. Serve each cob with a dollop of Chili Garlic Crema, a sprinkle of Parmesan, a dusting of spices, and a squeeze of lime. Mix all ingredients and chill until ready to serve. Thanks to this recipe, roasted chicken has become a favorite easy dinner at my house! It’s simple enough to make anytime with some advance planning, and beautiful and delicious enough to serve to guests. During the week I might pair a bird with easy roasted potatoes and carrots, or for a weekend company meal perhaps dress it up with mashed potatoes and gravy along with fancy green beans. No matter the side dishes, this recipe with its combination of brining and roasting produces savory moist chicken with crispy skin every time. Serve it up as a family meal, then pick the rest of the meat off the bones for chicken salad or a casserole a few days afterward. Don’d forget to use the carcass to make a pot of nourishing bone broth for later, too! Place chicken in a pot or lidded container large enough to submerge the entire chicken. Add at least two quarts (8 cups) of cool water, then pour in the salt/sugar mixture. Add more water as needed to submerge chicken. Add to the pot the juice of half a lemon or a splash of apple cider vinegar. If desired, add a few bay leaves, a few whole allspice, about a dozen whole peppercorns, several sprigs of rosemary, or any other whole spices (ground spices aren’t recommended, as they’ll cloud the brine and discolor the chicken). Drain off brine and discard spices. Use baker’s twine to tie legs together and place chicken in a roasting pan. Pat chicken dry and rub with a few tablespoons of softened butter, coating the skin thoroughly. Sprinkle generously with more kosher salt and coarsely ground black pepper. Place chicken in a 425 oven for 15 minutes, then lower the heat and roast at 350 for 20-25 minutes per pound. After one hour, carefully remove the pan from the oven and baste the chicken in its juices. Return chicken to oven until time is up and chicken is cooked through. This recipe works for chicken parts, too! Shorten the brining and baking times for smaller pieces. You can multiply the salt/sugar solution and spices if brining several chickens at once. Use a very large container and be sure all parts of the chicken are covered with water. Lengthen baking times to allow for more mass in the oven. Brining results in moist, flavorful meat. Buttering the skin, starting the oven at high heat, and basting partway through are the keys to getting a delicious golden crispy skin. Don’t throw away the chicken carcass! Use it to make tasty bone broth. If you don’t have time to make it right away, freeze the chicken bones for later. Share this recipe with a friend; maybe they’ll take the hint and invite you over for dinner! Nothing says summer like a barbecue, and one of my favorite things is to try new foods on the grill. Grilling vegetables and fruits is fun, and it brings out different flavors than cooking them on a stovetop. 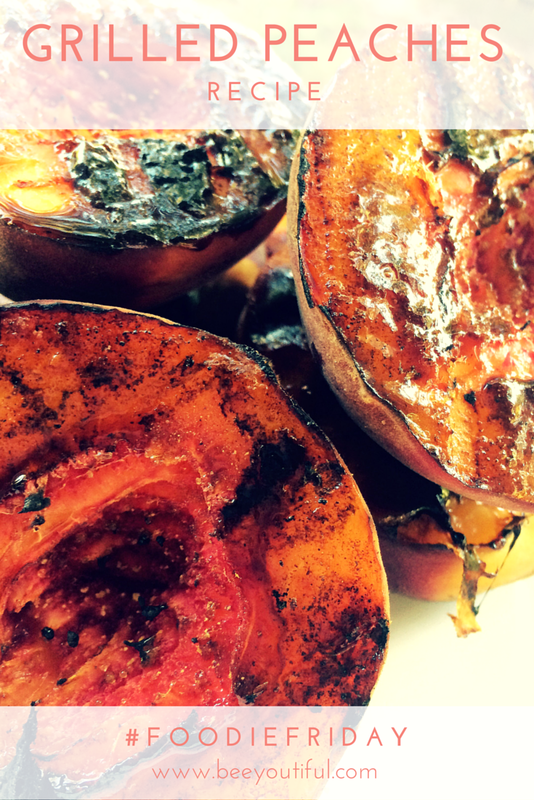 One of my personal favorite flavors that captures all the yummy goodness of summer is grilled fruit. 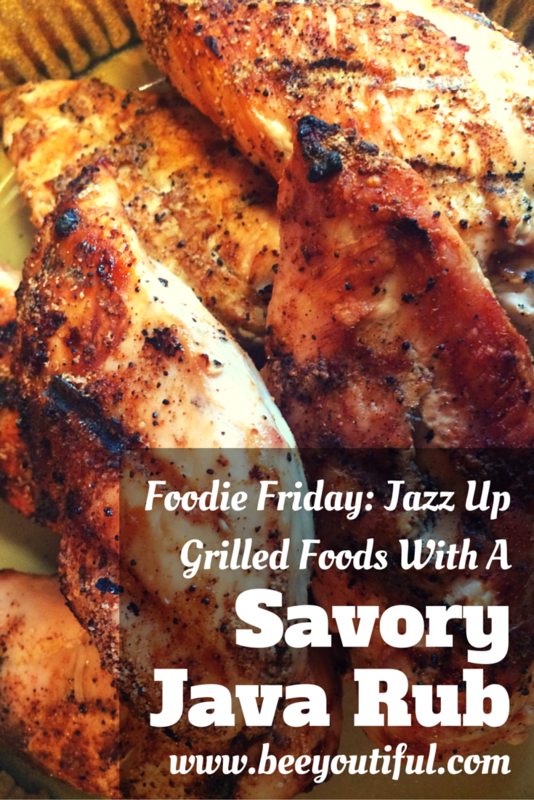 Fire up your grill and join me for some of this delicious decadence! Clean grill well and coat with coconut oil before starting. Stir together Rapadura and Cinnamon in a mixing bowl. Toss sliced fruit in the sugar mixture to coat. Grill over low heat for 3-4 minutes, being careful not to allow them to burn. Serve hot as a stand-alone dessert or with a dollop of raw cream. It is almost officially summer in these beautiful rolling hills of Tennessee, and it is hot and humid. Pretty much all my kids and I want to do is eat popsicles and sit in the pool! As a family, we avoid food dyes, artificial flavorings and sweeteners, and other potentially toxic food additives. If you have checked the ingredient lists of most frozen treats these days, you’ll discover that you almost cannot avoid extra chemicals. Instead of purchasing additive-laden frozen treats, we started making our own. It’s very easy, I have direct control over the quality of ingredients, and I have the added benefit of tailoring them to meet our specific nutritional needs. 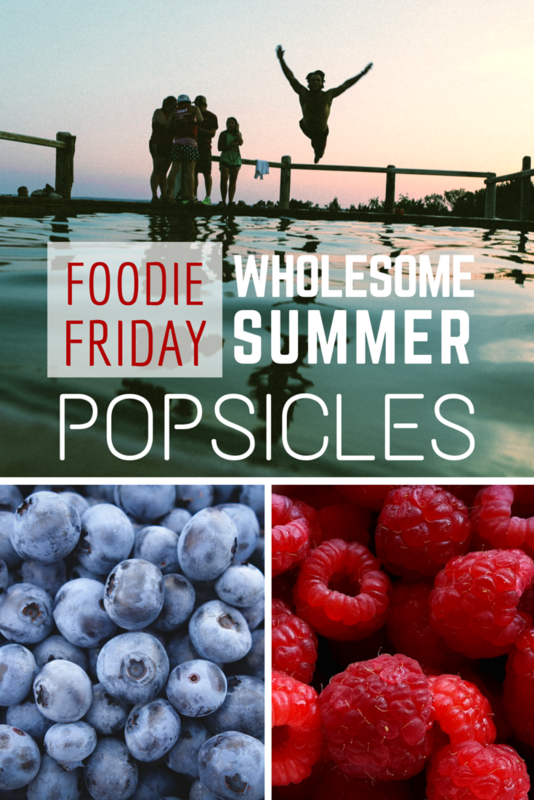 Here are a few of the yummy and refreshing popsicle recipes that we love; try them for yourself and let us know which is your favorite! Blend all ingredients together and pour into mold. Freeze for at least 6-8 hours until firm. Blend together and then pour into popsicle molds. Freeze until solid and enjoy. Optional: sweeten with honey or stevia if desired. Blend together, pour into molds. Freeze until solid, and enjoy. Optional: add mini chocolate chips into the mix for a bit more fun! 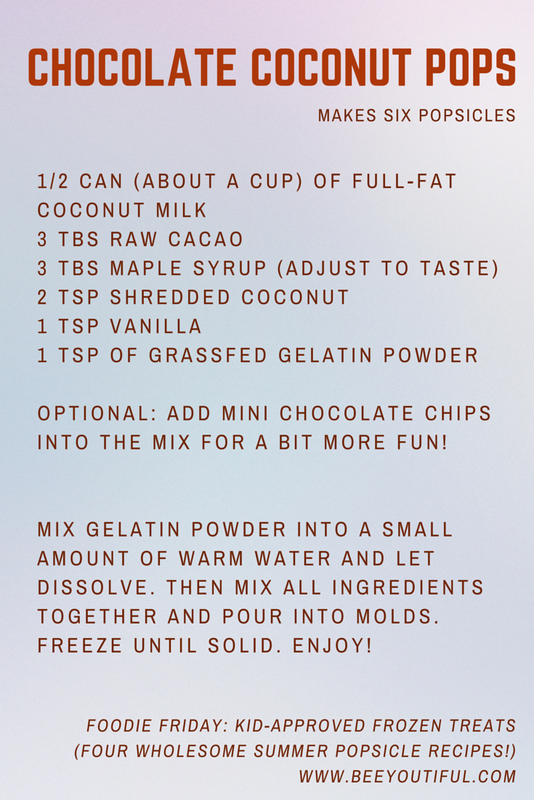 Mix gelatin powder into a small amount of warm water and let dissolve. Then mix all ingredients together and pour into molds. Freeze until solid. Enjoy! I’ve had a craving for a sweet, fizzy drink during these warm (and getting warmer!) early summer days, yet I want to avoid the high fructose corn syrup-laden options available at the drive-in burger places. Liquid Stevia Extract is the perfect drink sweetener and makes a wonderful alternative “soft drink” at home. 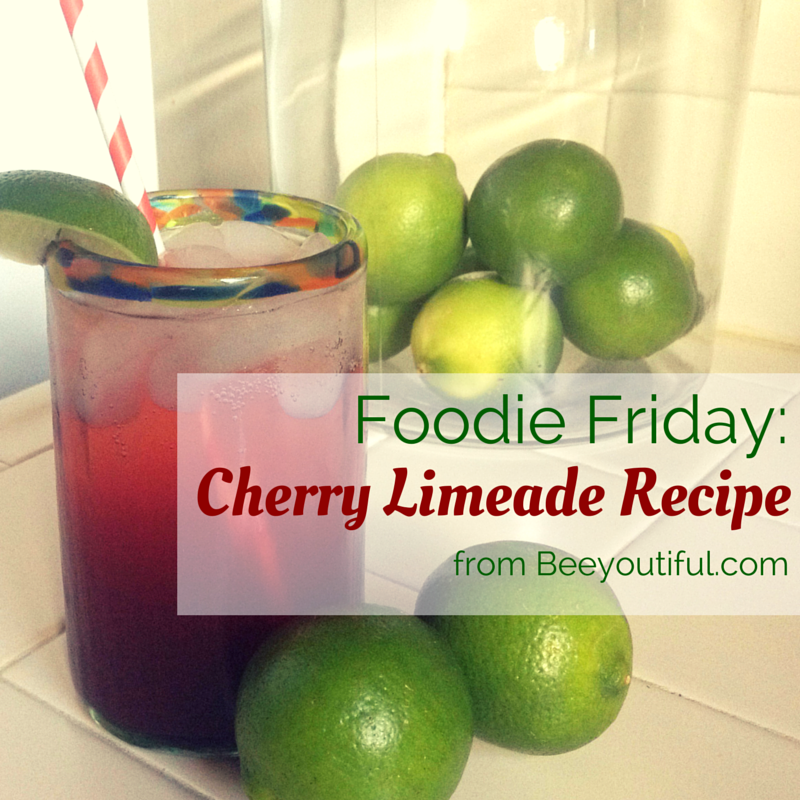 This version of Cherry Limeade is not tooth-achingly sweet like the commercial version, but it’s still delicious and refreshing. I think it’s quick and easy enough for a child to make. I plan to try this basic recipe with other juices too; I think cranberry-lime could be tasty, or strawberry-lemon, or maybe pomegranate-blood orange for more exotic twist. Let me know in the comments if you make a variation, and how it comes out! Into a pint glass, squeeze the juice of one lime. Add cherry juice and 10 drops Liquid Stevia Extract. Add mineral water and ice cubes to fill glass. Stir to combine. Lime and cherry juices are both tart, so take a sip and add more stevia, a couple drops at a time, and stir to reach desired sweetness level. Makes 16 ounces. I love to grill and try a million different flavor combinations. Just in time for Memorial Day and the summer cookout season, we tried our hand at our own Java Rub for meats. And it was AMAZING! Mix spices together and store in airtight container. Rub onto raw meats and allow to sit in the refrigerator for a few hours to absorb flavors before grilling over low heat. 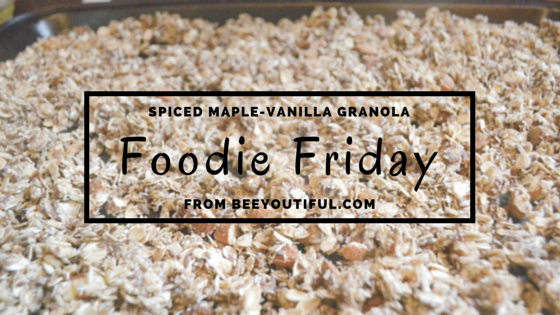 I’ve made many batches of this recipe as gifts, and every single time I’ve been asked later for “more of that wonderful granola”! The blend of spices (especially the “secret ingredient” of cardamom) combined with vanilla is what I think makes it special, but feel free to adjust the seasoning to suit your own tastebuds. Use sunflower seeds to make a nut-free version that’s a bit more accessible to those with food sensitivities. Preheat oven to 300°F. Cover a rimmed shallow baking pan with parchment paper. 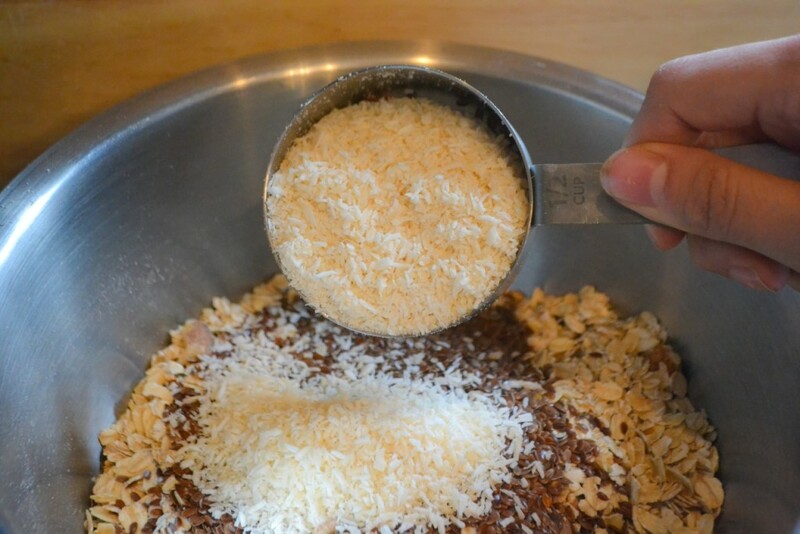 In a large bowl, mix all dry ingredients. In saucepan, combine oil, sugar, and syrup or honey. Bring up to simmer over medium heat. Remove from heat and stir in vanilla. Pour hot liquid over oat mixture, stirring quickly to mix well. Spread mixture onto baking sheet. Bake at 300°F, stirring every ten minutes until golden brown (about 30 minutes). Cool completely and store in air-tight container. Makes about 6 cups. Recipe can be doubled or tripled to fill more than one baking sheet.